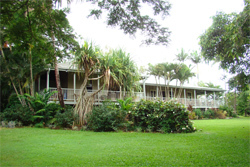 The property is located on the western edge of the Great Dividing Range, North West of Cairns in Far North Queensland. 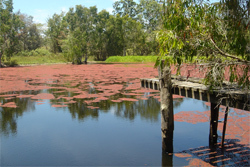 The township of Mount Molloy is 4 kms from the homestead. 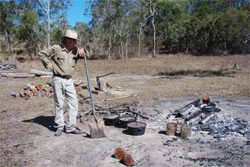 The Mulligan Highway between Mareeba and Mount Molloy runs north-south through the property. William and Elizabeth Groves built “Weatherboards” homestead (as Wetherby Station was originally known) and with their 8 children ran the property until the 1940’s. 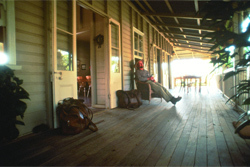 In the early days of the 1890s gold prospectors traveling between Port Douglas and the Hodgkinson River gold fields along the historic Bump Track would stay overnight at “Weatherboards” for a meal and to spell their bullocks and pack animals. Elizabeth Groves made them welcome and developed a good trade as the Bump Track ran right past the front door to the homestead. 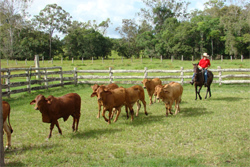 The next owners of the station were Maurice and Elizabeth de Tournour who with their two sons Maurice and John ran a successful Brahman cattle stud. In fact Maurice was one of the cattlemen who was involved in the founding of the Australian Brahman breed with Wetherby Stud established as Stud number 2 in 1948. 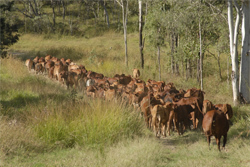 Many cattle stations in North Queensland including Cape York and the Gulf purchased Wetherby Brahman bulls to improve the quality of their herds due to the tick resistance and heat tolerance attributes offered by the breed. 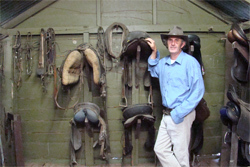 Today Wetherby Station operates as a sustainable cattle and tourist and ecotourism enterprise. 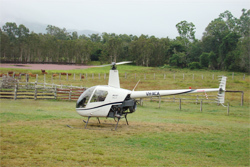 High grade commercial Droughtmaster beef cattle graze improved and natural pastures. 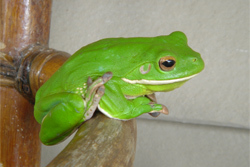 A list of species observed during ongoing audits can be accessed. 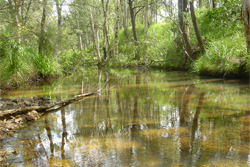 Northern Gulf Resource Management Group hosted a naturalist weekend visit to Wetherby during 2008 when 74 species of birds, 12 butterflies and 114 species of flora were identified. Employing sustainable land management practices is a high priority on Wetherby. It is intended that this will result in improved farm productivity as well as ensuring that biodiversity and environmental values are retained.